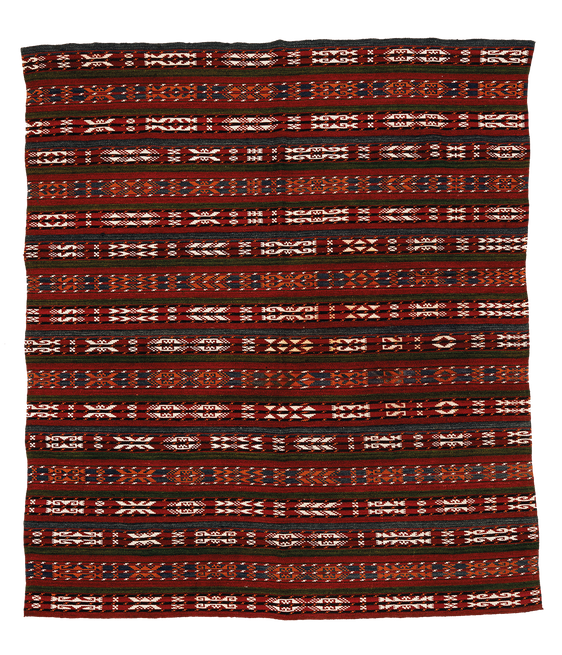 This is a great example of a woven rug/blanket from Uzbekistan. It is composed of narrow bands of warp-faced weave. It is rich in symbolism and the elements most likely represent fertility or talismans. This piece is in a near perfect condition.